Nos. 26 & 28 Brunswick Road, Gloucester comprise a pair of grade 2 listed buildings formally used as offices. They have been empty for almost 8 years but internally are in very good condition. 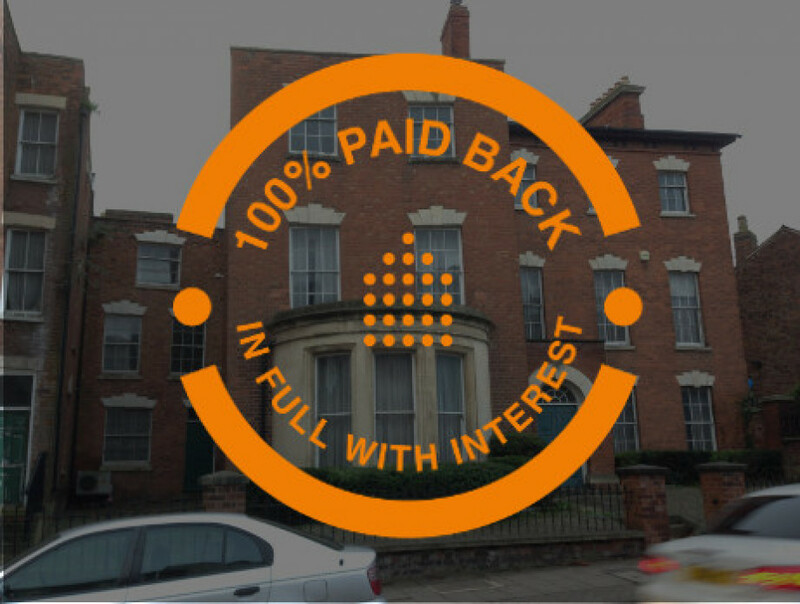 The Borrowers have exchanged contracts and complete on 22nd January 2016. 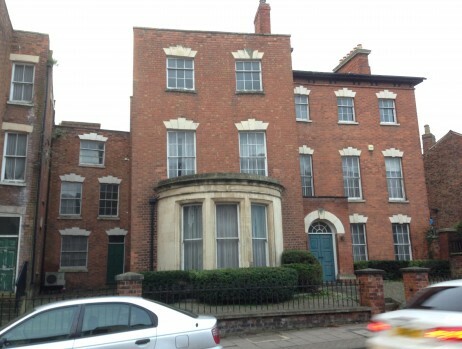 Both houses are ideally located within close walking distance to the high street shops and the popular city Docks area where the Gloucester Quays retail outlet includes a new multiplex cinema and many well known bars and restaurants. 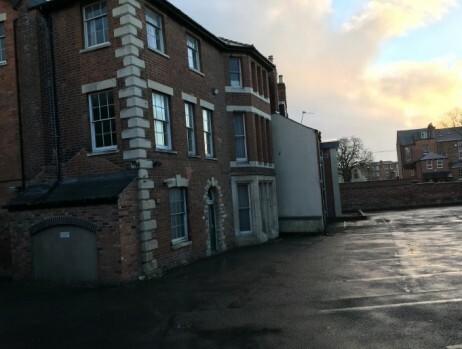 There is plenty of parking at the rear of the properties, which is a rare and a highly sought after commodity this close to the city centre. The purchase price for these two properties is £360,000, and CrowdProperty have agreed to loan the purchaser £270,000 for a maximum period of 15 months. This is a loan to value of 75%. 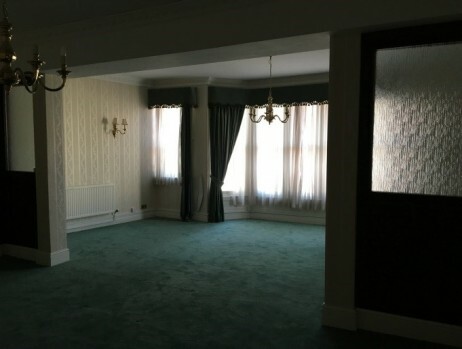 The current valuation and the anticipated Gross Development Value (after the project has been completed) has been conducted by an independent RICS surveyor on behalf of CrowdProperty. Once full planning permission has been granted, there will be a Phase II loan of £489,000, which comprises of £420,000 to fund the construction costs of converting both houses and £69,000 to fund the structural integrity work and all professional fees. The Phase II funds will be held in our solicitors’ protected escrow account and will be released at appropriate stages throughout the build phase, based upon sign off by Crowd Property’s Monitoring Surveyor. There will be further costs of £204,725, comprised of £132,825 finance costs, purchase/ selling costs, insurance and contingencies of £71,900, making a total project cost of £1,053,725. The sum of the Phase I and Phase II loans will be £759,000, secured with a legal first charge on both properties which, when the conversion is completed, will have a GDV of £1,330,000 as verified by the recent RICS valuation. The final profit before tax, therefore, is forecast to be £276,275, representing a 26% profit margin on costs with a CrowdProperty interest cover of 2.9. As these commercial buildings have been empty for a number of years the council seemed to be very supportive of this project in the pre-planning meeting. 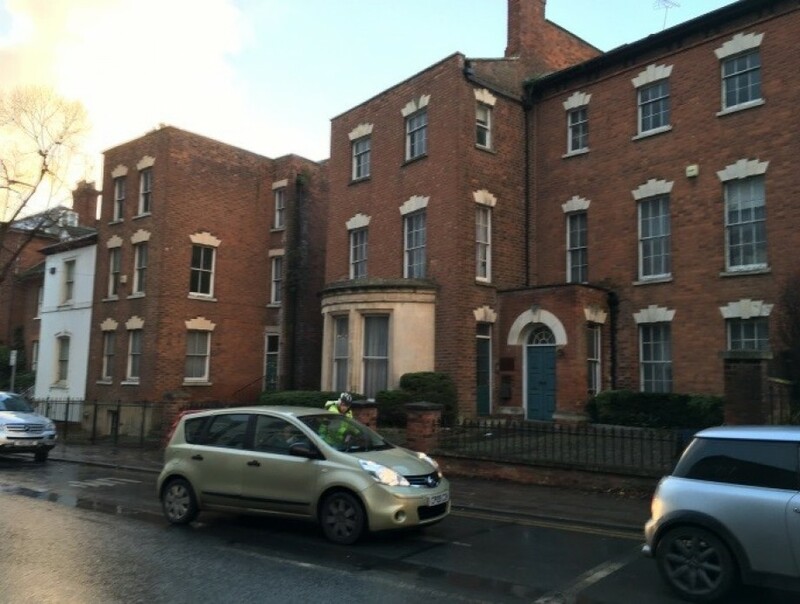 If however for any reason the full planning permission is not granted for any reason, the developer will commence the work to convert No 28 into the HMO as it already has planning permission for residential use and No 26 will be converted back into a normal residential home. This is not as profitable but will still generate sufficient income for the developer to repay the Phase 1 loan with interest and still make a small profit. If everything goes to plan and full planning permission is granted as expected, then the building work could start as soon as this April and should be completed by the Autumn. This gives the developer plenty of time to sell or refinance the apartments in order to repay the loan and interest within the 15 months loan period. The interest rate received by the lenders will be 8% per annum pro rated for the length of the loan, which could be repaid earlier than 15 months if the borrower chooses to do so. 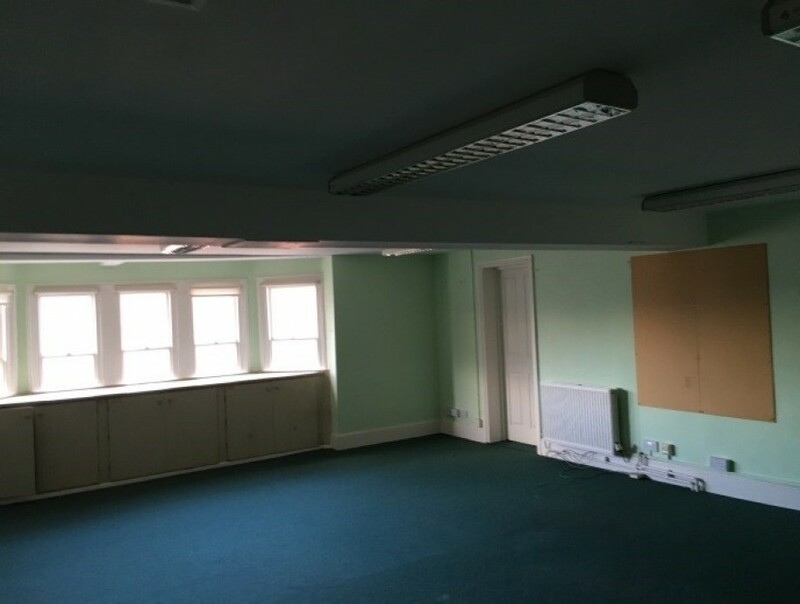 We understand that the developer intends to retain as many of the units as possible by refinancing them because they believe they will be very desirable rental properties, however they are prepared to sell some if necessary to repay the loan. CrowdProperty has secured the funds to facilitate this purchase, which means the loan is 100% guaranteed to commence on 22nd January. This means that you could start to earn interest as early as this date if you decide that this is a project that you wish to support with a loan to the developer. 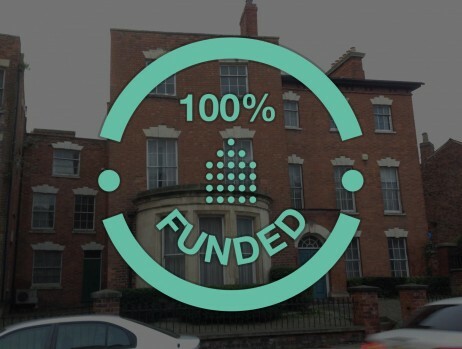 We are delighted to be able to offer this loan opportunity to our Crowd of lenders because this is the perfect type of project for this platform. Experienced developers with a particular passion for renovating and converting period properties have an opportunity to create some wonderful apartments in a great location close to the town centre. They have a number of exit strategies and the project has been split into two phases to mimimise exposure in case for any reason planning permission is not granted. We have not only given this project the CrowdProperty stamp of approval by putting it on the platform but because we think it is a great deal we have also secured to funds to guarantee the purchase which means you can start earning interest as soon as 22nd January.